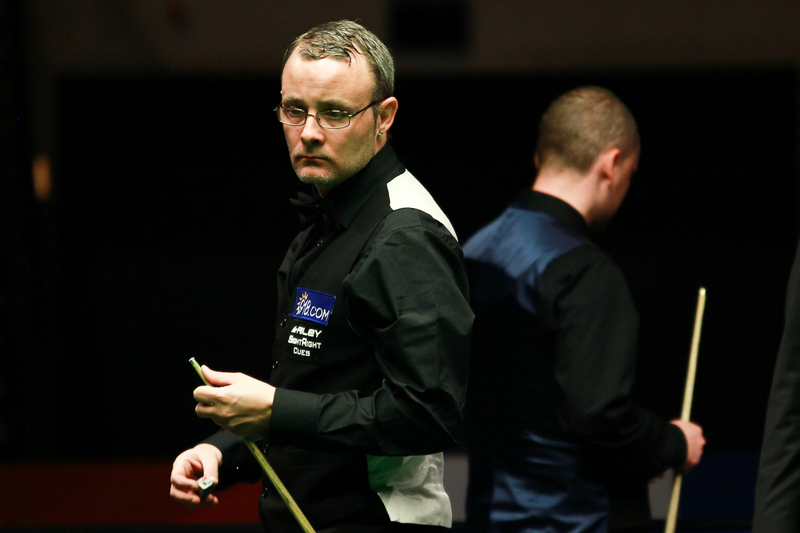 Martin Gould reached his third ranking event final by beating Graeme Dott 6-2 in the semi-finals of the 918.com German Masters in Berlin. 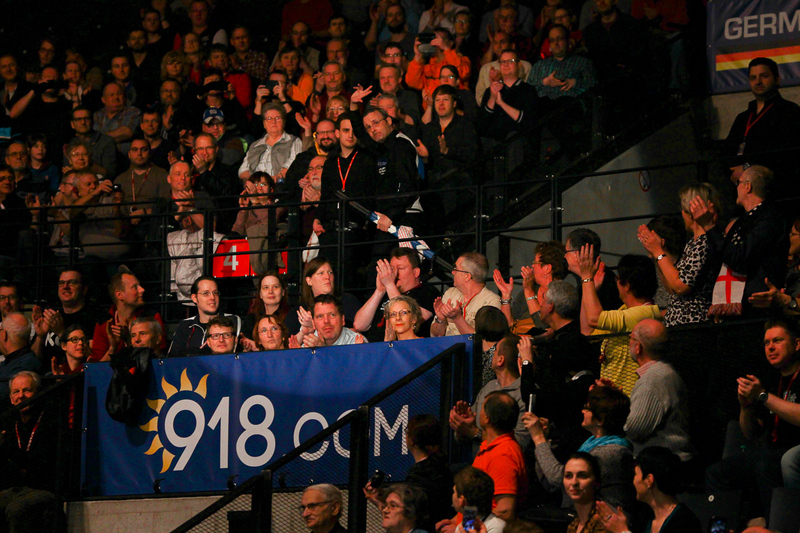 Londoner Gould surged into a 4-0 lead before the interval and eventually finished the job in a tense eighth frame. Scotland’s Dott was well below his best and looked frustrated by his own performance throughout. World number 20 Gould will now face Kyren Wilson or Luca Brecel over 17 frames at the Tempodrom tomorrow with the winner to collect the title and a top prize of 80,000 Euros. 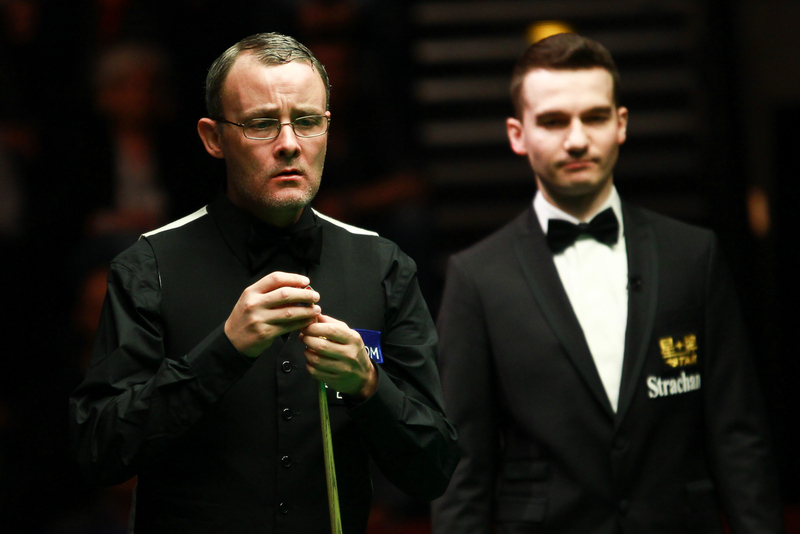 The 34-year-old reached his first ranking final at the 2011 Players Championship, losing 4-0 to Shaun Murphy, and his second at the Australian Goldfields Open last June, edged out 9-8 by John Higgins. This time he will aim to make it third time lucky. Gould has won other tournaments including a PTC event in 2012 and the one-frame Shoot-Out in 2013, but victory here would give him by far the biggest title of his career. A scrappy opening frame today went Gould’s way, as Dott’s hopes ended when he went in-off the final green when trying to lay a snooker. Runs of 46 and 38 gave Gould the second and he took advantage of unforced errors from his opponent to go 3-0 ahead. Former World Champion Dott had a good scoring chance in the fourth but missed a black off its spot on 32 and Gould cleared with 87 to extend his lead. Dott pulled one back after the interval before Gould’s 53 made it 5-1. The Englishman has twice lost best of 11 matches from 5-1 up within the past year – against Judd Trump at the World Grand Prix and David Grace at the UK Championship – but this time there was no fight-back. Dott ground out the seventh frame to increase the pressure on his opponent and again he had chances in the eighth, but when he missed the final green leading 35-26 a relieved Gould cleared to the pink for victory. “It feels great to be into another ranking event final,” he said. “Since the turn of the year I’ve done a lot of hard work and it’s nice to see that paying off. I’m really looking forward to tomorrow especially as I can relax tonight. “In the first four frames today I didn’t do a lot wrong. Graeme struggled a bit and it was just a matter of keeping my discipline and doing what I had to do. When it went 5-1 inevitably I had flashbacks to the matches I had lost from that position. But I just told myself to keep calm, stay positive and keep doing what I was doing. “The first ranking title could lead to many more and I feel that I’m good enough. I’ve just got to get past that final step and hopefully lift the trophy. I won’t think of myself as favourite tomorrow. My opponent will have deserved to get to the final and will be up for it. I have to take my chances and make sure I don’t do anything silly.